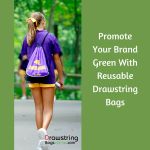 How Can You Benefit By Making Eco-Friendly Custom Cotton Drawstring Bags Part of Your Branding Agenda? As said before businesses, people, countries, societies all are striking against plastic and they have already spent millions to get rid of it. By promoting these lightweight cotton bags, you are actually contributing to this anti -plastic war without stretching your marketing budget. People would highly appreciate your efforts and think of you as a loyal and eco-friendly company. 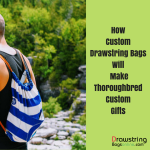 Being produced using high quality cotton, these custom cotton drawstring bags are expected to last longer than most plastic bags and are extremely cheaper in comparison. 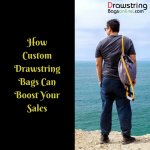 Marketers who are planning to seek long term benefits from their single investment can easily benefit from these bags because they serve them by their durable contour. As you might already know that plastic bags are produced from complex processes and they aren’t exactly healthy for carrying anything. You have been hearing about their adverse effects every now and then. However, with drawstring bags made of cotton, you can stay assured about the health part. Most of the times cotton used for production are pesticide free and herbicide free, which helps to produce chemical free cotton bags. By investing in such bags you are actually offering support to cotton growers to indulge with their task and contribute to the environment. 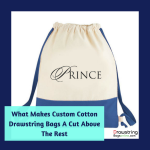 Most custom cotton drawstring bags are made up of material, which is eco conscious, leak proof, easy to store light or heavy stuff, easy manageable and reliable – which means whole together a purposeful experience to your customers. Your customers can carry it during shopping, to schools, offices, gyms, on vacations and for other purposes with ease. Also, by using these bags, you can cultivate a sense of pride in them. 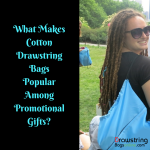 Ensuring that Your Promotional Gift Returns to Soil after its ExpiryThis may sound li’l philosophical, but by indulging with cotton drawstring bags, you are ensuring that your gift returns to soil after its expiry. The cotton bags are 100% bio degradable and they will eventually end up in landfill. This will complete one cycle of fruitful brand building. 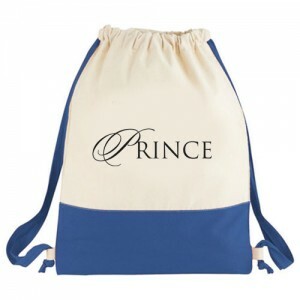 You can source these customized drawstring bags from any reputed online seller and avail many value benefits such as free art set up, free online design proof and free shipping along with it.